How do I use electronics to enhance my company? 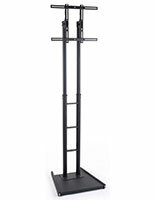 These TV stands and iPad tablet holders create dynamic advertising displays, productive workstations, and convenient solutions for businesses. 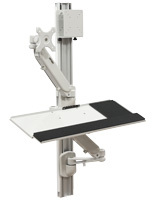 As people get more accustomed to looking at screens, it's important to reach out to them with electronic fixtures. 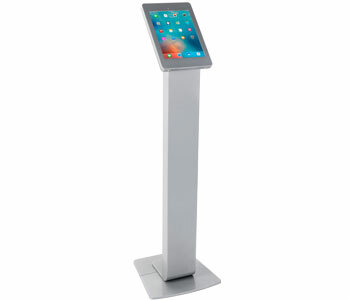 TV stands and iPad tablet holders feature moving visuals and interactive apps that engage both patrons and employees. 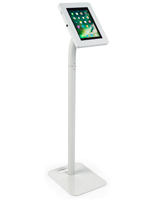 They're excellent for a number of uses — featuring digital menus, playing promotional videos, and displaying presentations at the office. 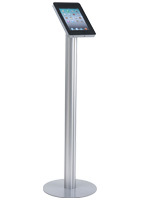 Find out how TV stands and iPad tablet holders can help your organization meet its goals. 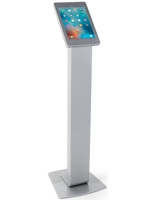 Commercial TV stands and iPad tablet holders bring a new level of depth to retail stores. 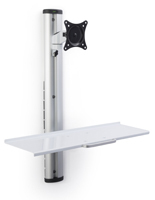 Electronic signage, like monitor mounts and flat panel floor stands, creates attention-grabbing ad space. Moving visuals are much more noticeable than still images and they can convey more information. Feature video advertisements, animated menus, and entertainment to attract customers with a modern interior. How can these digital displays serve your business? 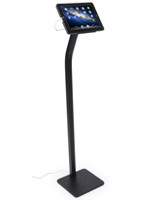 iPad and tablet holders are especially effective for employee use because they use familiar devices. Why use a bulky cash register when a slim Apple touchscreen can do the same thing? 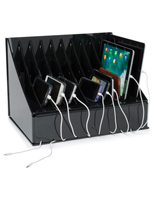 This is great for customer check-out in retail stores, restaurants, and traveling businesses. 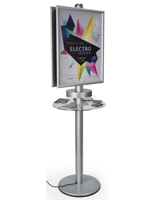 Customer-facing digital catalogs and interactive menu stands are another way to enhance your location. 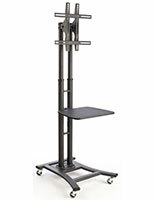 Computer and TV stands with wheels are excellent for large organizations. 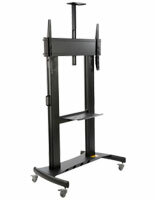 Hospitals move medical equipment from room to room with rolling media carts, saving space and money. 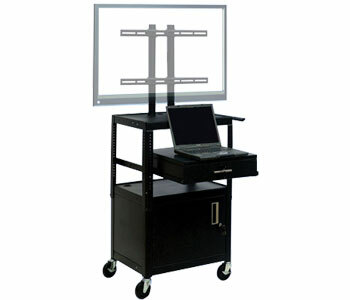 Schools use mobile television displays to feature presentations and show movies. 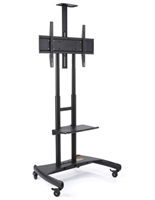 AV carts are indispensable for organizations that need to share information and bring solutions to new locations. 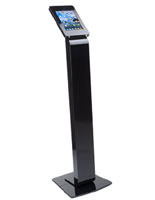 Restaurants, airports, offices and other shared spaces are ideal for our device charging stations. 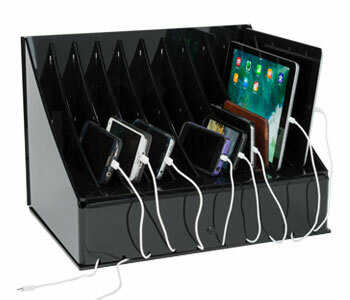 These shelving units create a simple area where people can leave their phones to charge. Our line of device charging cabinets is exceptional for schools and offices that provide computing equipment. 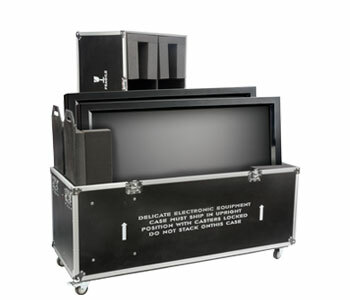 These secure carts and countertop cases hold a number of laptops and touchscreens while charging them for use at any time. 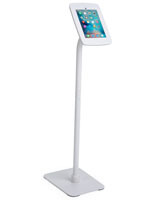 TV stands and tablet holders are great for bringing electronics on the road. Companies that portray themselves with digital signage and interactive displays will connect with event-goers better than ones that don't. 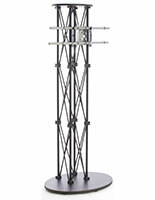 Our fixtures feature portable designs that make travel easy, including thin designs and folding truss constructions. 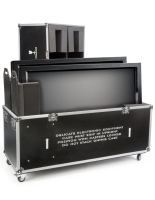 Another option is our line of television cases that keep flat panels safe during transportation. Give passersby an in-depth look at your products and services using these modern promotional solutions. 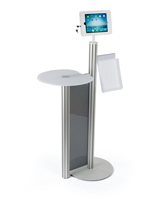 Browse device displays in a number of fabrications to fit in any interior. 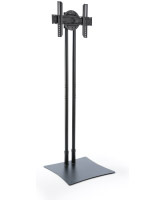 Our catalog includes floor standing, countertop sitting, wall mounted, and ceiling hanging fixtures. 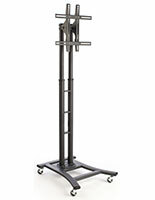 These options are great for establishments that may not have a lot of room for new furniture. 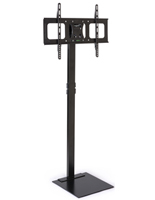 Our large selection of mounts are capable of featuring a number of screen sizes. 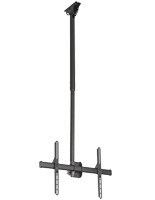 It's not just a difference between TV screens and tablets, both of these lines have models for different measurements as well as adjustable designs. 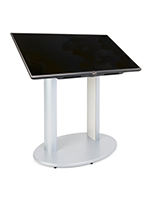 Check each product page and make sure that the display supports your VESA size or touchscreen model. 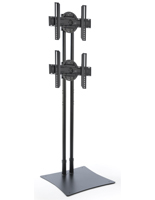 What other electronics stands and holders do we offer? 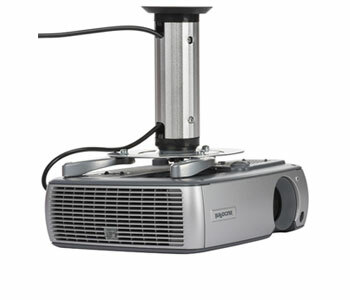 Projector mounts are perfect for conference rooms and classrooms. 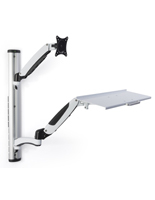 These are great for setting up professional presentations, keeping valuable equipment out of the way. 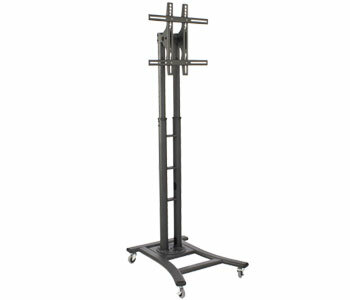 We also offer a wide variety of accessories for these stands and holders. 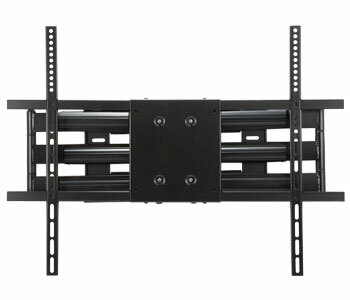 An extra shelf on a television fixture means another Blu-ray player or laptop that can provide media. Locking storage cabinets will protect valuables in public areas while keeping them within reach. Affordable packs of charging cables are also available to fully supply recharge stations. Order from our catalog for fast shipping and wholesale pricing and supply your business with ease!